I can’t believe we’re only a couple weeks away from the release of Life Unaware. Having been bullied myself, and also a sufferer of anxiety and panic attacks, writing this book was an incredible challenge. I’m not going to lie, while writing select scenes I was forced to revisit pain from my own past. It wasn’t easy, but man was it worth it. I feel like every page of this book is a page from my own personal therapy session. So I was a little nervous when I got the email with the trailer attached. What if it set the wrong tone? What if it wasn’t what I imagined? But then I watched and, oh you guys, it’s absolutely perfect. I’m so excited to be able to reveal it to you. Before I do, I want to let you know about a couple of opportunities Entangled Teen has going on right now for you to WIN a copy of life Unaware. First up, they’re running a Goodreads giveaway with three copies up for grabs. Giveaway ends April 25, 2015. In addition to this giveaway, Entangled Teen is also running this contest on their Facebook and Twitter pages. And now for the grand reveal. 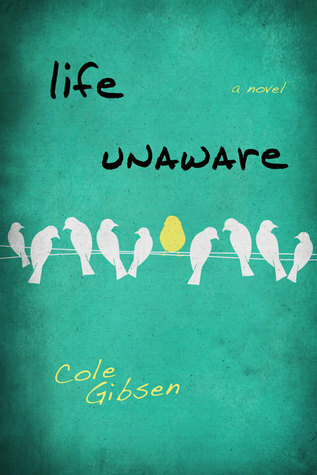 Life Unaware by Cole Gibsen is coming soon. Find us on Instagram to enter for a chance to #WIN an advanced copy! Love it? Hate it? Indifferent? I’d love to know your thoughts in the comments.